A venture between EverWest Real Estate Partners and Miami-based Black Salmon has entered the Bay Area office investment market with the purchase of The Offices at Public Market, a 109.2k sf, Class A office and retail property in the East Bay city of Emeryville. From what we hear, the deal came in somewhere around $33 mil, or $300/sf. 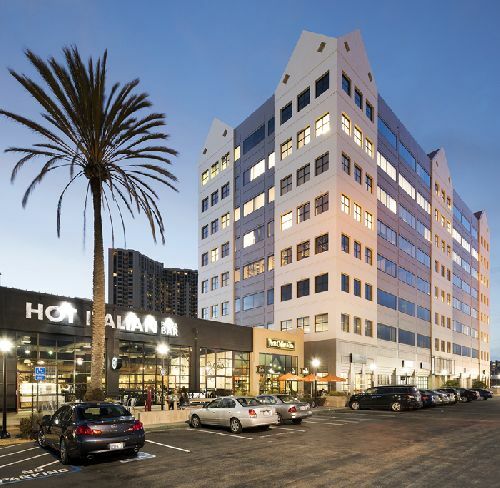 Situated along I-80 in the heart of Emeryville, The Offices at Public Market is part of a larger mixed-use development that includes retail, residential and hotel. A large portion of the eight-story project’s retail space is currently under redevelopment, slated for completion within the next 24 months. The Offices at Public Market, located at 6001 Shellmound St, offers direct visibility and access to I-80. It is minutes from I-580, Hwy 24, the Amtrak Tran Station and two BART stations. It is also approximately eight miles east of downtown San Francisco and five miles north of downtown Oakland. The office tower is currently 97% leased to a mix of tenants in sectors such as technology, real estate, engineering, architecture, healthcare and media. The retail portion of the site is home to a 23k sf modern food hall, 30k sf specialty grocer and in-line tenants including Orangetheory Fitness, Peet’s Coffee & Tea, Hot Italian, Urban Outfitters and Guitar Center. Steven Golubchik, Grant Lammersen and Tim Walling of Newmark Knight Frank represented the property sellers, City Center Realty Partners LLC and Angelo, Gordon & Co. CBRE’s Mike Keely and Grant Jones will continue to lease the building. As of third quarter 2017, the Emeryville office market was enjoying a near record-high occupancy rate of almost 95%.